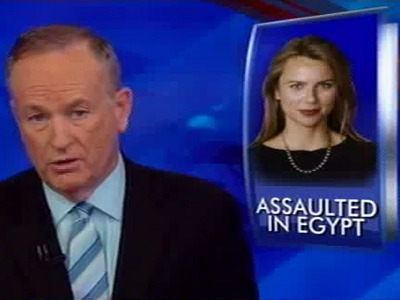 BILL O'REILLY: Does Lara Logan's Attack Mean We Should Stop Sending Female Reporters To Middle Eastern Countries? He is certainly not the first to do so. Jennifer Griffin, a Fox News excellent national security correspondent, and former long-time Middle East correspondent, disagreed that women should not be allowed to cover these stories, but said that precautions had to be taken. Asra Nomani, a former journalist for the Wall Street Journal, recounted a story of her own where she felt like she was in danger. While Griffin pointed out that things like this happen in countries all over the world, including Mexico and Africa, Nomani agreed “that sexism and misogyny any are universal problems” but especially in the Muslim community.